I wanted to share with you two variations of label printables that I use on numerous projects. They're perfect for tucking among layers, adding a caption or date, and of course for Project Life. 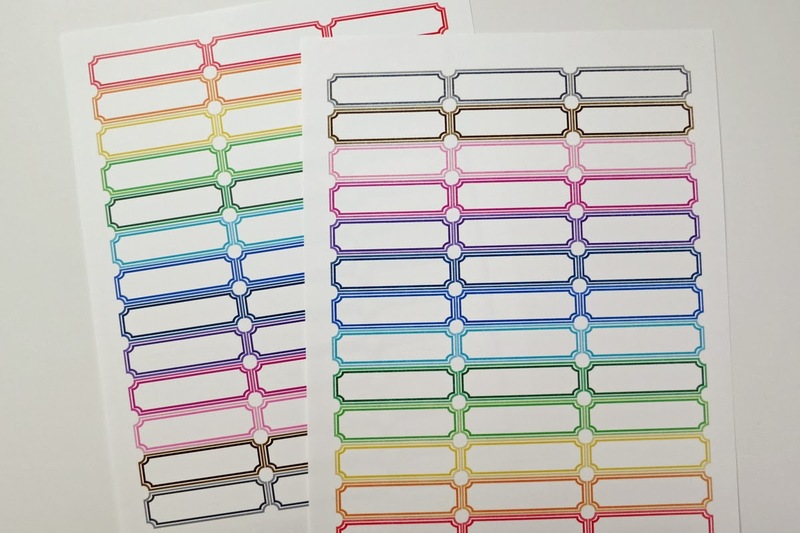 I have created both sheets in a rainbow of colors, one is distressed and one is not. Help yourself to one, the other, or both, they are free for your personal use. Download the distressed labels HERE and the original labels HERE from Google Drive, no login needed. 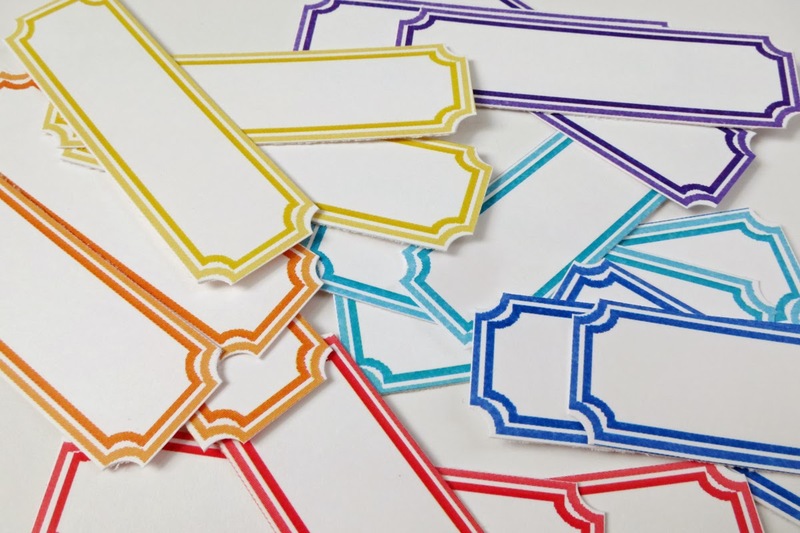 You can cut the labels apart with a paper trimmer or scissors, and then use a standard hole punch to make the notches in the corners. I love the pop of color these provide, and hope you will too. You can find all of my free printables HERE, and if you have any ideas of something you'd like to see, please let me know! Oooh these are so fun. Love the printables. TFS! Beautiful! Great idea for using the hold punch at the corners! These are so fun!! Tfs! what a cool printable, thanks for sharing! Thanks for the printables! I love labels! They looks so pretty on the page, it will be hard to cut them apart! Thank you! l absolutely LOVE labels and yours are great. Thanks for sharing! So sweet of you to share your printables. Love it! Thanks for sharing :)! These are lovely. Thank you! I love the two toned aspect. Am totally Printing these for my Project Life! Do you mind if I share this page on my blog?